Voluntary Impoverishment: What is It and How Can You Hold Your Child’s Other Parent Accountable? When a couple parts ways and a child is involved, child support is almost a guarantee. Florida courts use a set formula to determine how much a parent will pay in child support to ensure utmost fairness across the state. That formula takes into consideration a number of factors, two of which include the parents’ income and the financial obligation each has toward the child. To assist the courts, each parent is asked to provide a detailed account of his or her earnings and expenses. The courts rely on each parent to be accurate and honest so as to ensure that the recipient parent receives the support he or she needs to raise the child comfortably. Because child support is a right of the child, neither party can legally waive their obligation to contribute to the support of the child. When a parent fails to report his or her true income and/or overexaggerates his or her expenses, he or she is guilty of voluntary impoverishment. If you are on the other end of involuntary impoverishment, contact the Boca Raton family law attorneys at the Law Offices of David L. Hirschberg, P.A. to see what you can do to relieve your financial burden and ensure that you do not pay too much, or get paid too little, because of your former partner’s dishonesty. Voluntary impoverishment is not fair for both the child and the innocent parent, as it can result in either too much child support being paid or too little. For this reason, the Florida courts do everything that they can to ensure that it does not occur. That said, the courts can only keep track of so much. If you suspect voluntary impoverishment, contact a local family law attorney to discuss your case and which evidence you need to prove your claims. Your attorney may advise you to discuss your concerns with the Office of Child Support Enforcement before proceeding with adverse legal action. If a child support order does not currently exist, the office will file a motion for the creation of one. The OSCE will impute each parents’ income and determine whether or not either is making less by choice. It is possible to detect voluntary impoverishment simply by reviewing the financial history of both parents, as well as their work histories and bank and credit card statements. If necessary, the OCSE will also run a credit check on both parents. A credit check can reveal how much income a parent lists on loan applications. 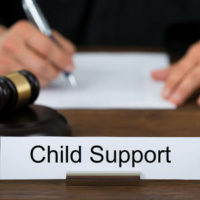 If there is a major discrepancy between the amount listed on the child support paperwork and the amount listed on loan documents, the guilty parent could face legal ramifications from both the family court and the IRS, as underreporting income is a serious crime. The relationship of the parents prior to the start of the divorce proceedings. After reviewing these factors, the court will determine whether or not the accused parent is capable of making more. If it decides in the affirmative, the court will attribute an “appropriate income” to the guilty party and set the child support accordingly. The guilty party will then be ordered to pay backpay to compensate for the amount he or she should have been paying up until that point. If you suspect that your child’s other parent is guilty of voluntary impoverishment, you may be able to collect payment for the amount you should have been paid, or for the amount that you overpaid. Contact our support lawyers at the Law Offices of David L. Hirschberg, P.A. to learn more about how we can help you.